We pray for Roland for all difficulties he is facing in his job at present. May he be cleared of all allegations against him. Give him courage to continue working well. Please help him and lead him always on the right path. Bless and protect him. Make all his hardship a thing of the past and let his star shine from now on. Thank youLlrd. Pray for us, that the fear of death will be replaced with the hope of everlasting life. 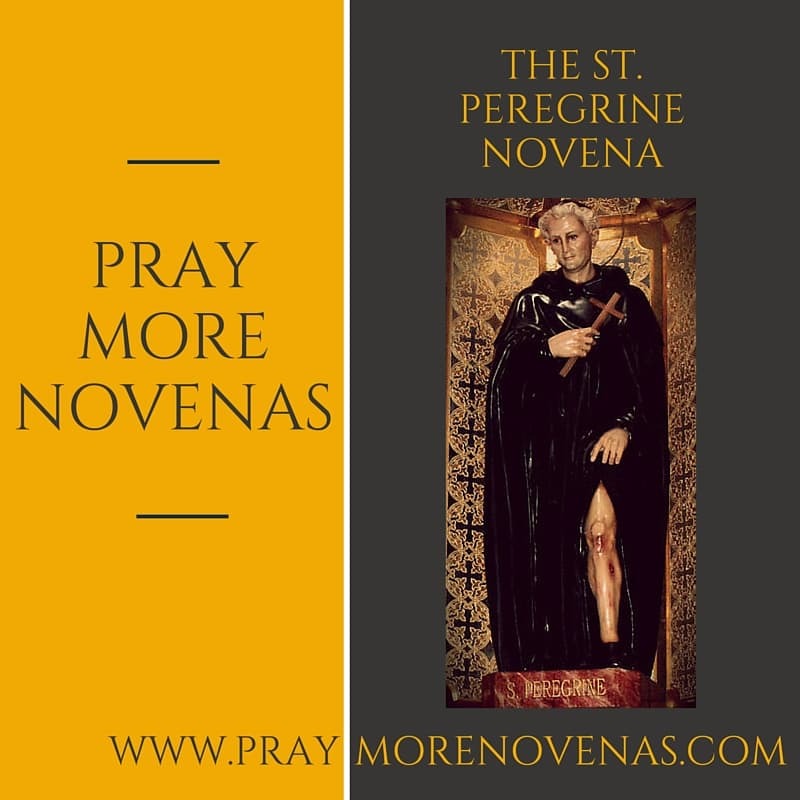 Praying this novena that I may find healing and comfort with my stage 4 cancer, for successful chemotherapy and for all those dealing with cancer. Please pray for me, thank you. Thank you for this wonderful aid in prayer. I give thanks to God through St. Peregrine for the healing of Christine. I pray for the healing and comfort of Fr. Peter, Deacon Bob, and Ron N.
Give glory to God, His love is everlasting. Please help Stephanie in her fight with NHL and give me back my strength that l may be of use again especially in dealing with my husband who is happy. Please find a pleasant path for us to travel on. In the name of the father. St Peregrine please pray for our healing, for the healing of ghe relationship of mommy, daddy and nanay and the safety of my whole family. Offering the prayers to St Peregrine for Janet, Kathleen, Joe, and all who are or have battled cancer. And for my continued good test results for my cancer follow up, every three months. Dear St. Peregrine —- my mammogram appointment is this morning. I pray that the results will be negative. The anxiety is overwhelming. Please intercede on my behalf.